Tyndale’s preaching excited great interest; many accepted the truth. But the priests were on the alert, and no sooner had he left the field than they by their threats and misrepresentations endeavored to destroy his work. Too often they succeeded. “What is to be done?” he exclaimed. “While I am sowing in one place, the enemy ravages the field I have just left. I cannot be everywhere. Oh! if Christians possessed the Holy Scriptures in their own tongue, they could of themselves withstand these sophists. Without the Bible it is impossible to establish the laity in the truth.”— Ibid., b. 18, ch. 4. A new purpose now took possession of his mind. “It was in the language of Israel,” said he, “that the psalms were sung in the temple of Jehovah; and shall not the gospel speak the language of England among us? . . . Ought the church to have less light at noonday than at the dawn? . . . Christians must read the New Testament in their mother tongue.” The doctors and teachers of the church disagreed among themselves. Only by the Bible could men arrive at the truth. “One holdeth this doctor, another that. . . . Now each of these authors contradicts the other. How then can we distinguish him who says right from him who says wrong? . . . How? . . . Verily by God’s word.”— Ibid., b. 18, ch. 4. 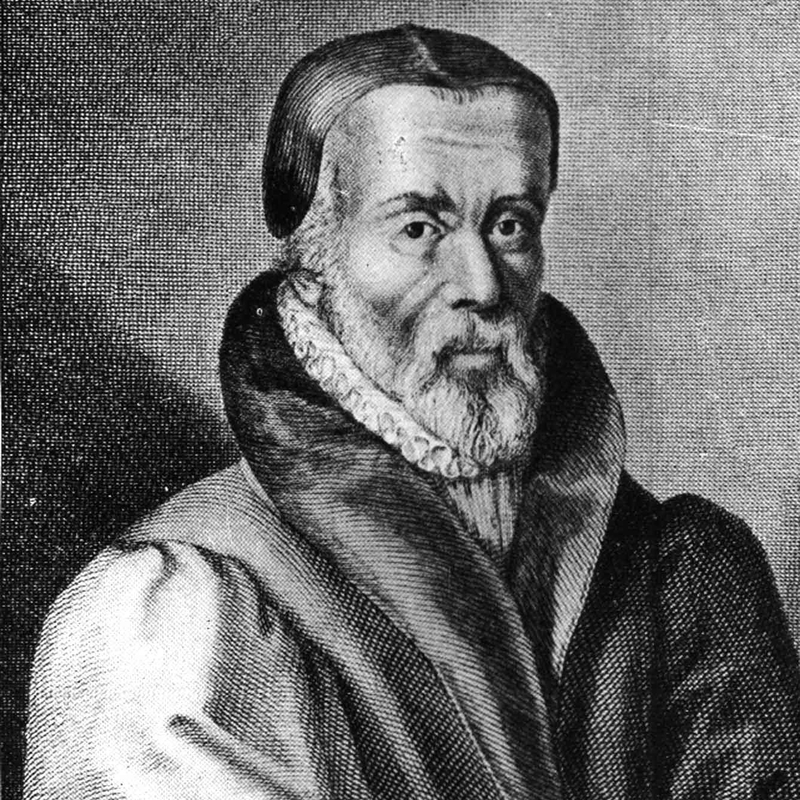 It was not long after that a learned Catholic doctor, engaging in controversy with him, exclaimed: “We were better to be without God’s laws than the pope’s.” Tyndale replied: “I defy the pope and all his laws; and if God spare my life, ere many years I will cause a boy that driveth the plow to know more of the Scripture than you do.”—Anderson, Annals of the English Bible, page 19. The grand principle maintained by these Reformers—the same that had been held by the Waldenses, by Wycliffe, by John Huss, by Luther, Zwingli, and those who united with them—was the infallible authority of the Holy Scriptures as a rule of faith and practice. They denied the right of popes, councils, Fathers, and kings, to control the conscience in matters of religion. The Bible was their authority, and by its teaching they tested all doctrines and all claims. Faith in God and His word sustained these holy men as they yielded up their lives at the stake. “Be of good comfort,” exclaimed Latimer to his fellow martyr as the flames were about to silence their voices, “we shall this day light such a candle, by God’s grace, in England, as I trust shall never be put out.” — Works of Hugh Latimer, vol. 1, p. xiii. Urged by his companions to take the office of preacher, he shrank with trembling from its responsibility, and it was only after days of seclusion and painful conflict with himself that he consented. But having once accepted the position, he pressed forward with inflexible determination and undaunted courage as long as life continued. This truehearted Reformer feared not the face of man. The fires of martyrdom, blazing around him, served only to quicken his zeal to greater intensity. With the tyrant’s ax held menacingly over his head, he stood his ground, striking sturdy blows on the right hand and on the left to demolish idolatry. “Ye shall believe God, that plainly speaketh in His word,” answered the Reformer; “and farther than the word teaches you, ye neither shall believe the one nor the other. The word of God is plain in itself; and if there appear any obscurity in one place, the Holy Ghost, which is never contrary to Himself, explains the same more clearly in other places, so that there can remain no doubt but unto such as obstinately remain ignorant.”—David Laing, The Collected Works of John Knox, vol. 2, pp. 281, 284. Wesley and his associates were led to see that true religion is seated in the heart, and that God’s law extends to the thoughts as well as to the words and actions. Convinced of the necessity of holiness of heart, as well as correctness of outward deportment, they set out in earnest upon a new life. By the most diligent and prayerful efforts they endeavored to subdue the evils of the natural heart. They lived a life of self-denial, charity, and humiliation, observing with great rigor and exactness every measure which they thought could be helpful to them in obtaining what they most desired—that holiness which could secure the favor of God. But they did not obtain the object which they sought. In vain were their endeavors to free themselves from the condemnation of sin or to break its power. It was the same struggle which Luther had experienced in his cell at Erfurt. It was the same question which had tortured his soul—”How should man be just before God?” Job. 9:2. “I had long before,” he says, “observed the great seriousness of their behavior. Of their humility they had given a continual proof, by performing those servile offices for the other passengers which none of the English would undertake; for which they desired and would receive no pay, saying it was good for their proud hearts, and their loving Saviour had done more for them. And every day had given them occasion of showing a meekness which no injury could move. If they were pushed, struck, or thrown about, they rose again and went away; but no complaint was found in their mouth. There was now an opportunity of trying whether they were delivered from the spirit of fear, as well as from that of pride, anger, and revenge. In the midst of the psalm wherewith their service began, the sea broke over, split the mainsail in pieces, covered the ship, and poured in between the decks as if the great deep had already swallowed us up. A terrible screaming began among the English. The Germans calmly sang on. I asked one of them afterwards, ‘Were you not afraid?’ He answered, ‘I thank God, no.’ I asked, ‘But were not your women and children afraid?’ He replied mildly, ‘No; our women and children are not afraid to die. '”—Whitehead, Life of the Rev. John Wesley, page 10. Upon arriving in Savannah, Wesley for a short time abode with the Moravians, and was deeply impressed with their Christian deportment. Of one of their religious services, in striking contrast to the lifeless formalism of the Church of England, he wrote: “The great simplicity as well as solemnity of the whole almost made me forget the seventeen hundred years between, and imagine myself in one of those assemblies where form and state were not; but Paul, the tentmaker, or Peter, the fisherman, presided; yet with the demonstration of the Spirit and of power.”— Ibid., pages 11, 12. On his return to England, Wesley, under the instruction of a Moravian preacher, arrived at a clearer understanding of Bible faith. He was convinced that he must renounce all dependence upon his own works for salvation and must trust wholly to “the Lamb of God, which taketh away the sin of the world.” At a meeting of the Moravian society in London a statement was read from Luther, describing the change which the Spirit of God works in the heart of the believer. As Wesley listened, faith was kindled in his soul. “I felt my heart strangely warmed,” he says. “I felt I did trust in Christ, Christ alone, for salvation: and an assurance was given me, that He had taken away my sins, even mine, and saved me from the law of sin and death.”— Ibid., page 52. Once established in the faith of Christ, his whole soul burned with the desire to spread everywhere a knowledge of the glorious gospel of God’s free grace. “I look upon all the world as my parish,” he said; “in whatever part of it I am, I judge it meet, right, and my bounden duty, to declare unto all that are willing to hear, the glad tidings of salvation.”— Ibid., page 74. He continued his strict and self-denying life, not now as the ground, but the result of faith; not theroot, but the fruit of holiness. The grace of God in Christ is the foundation of the Christian’s hope, and that grace will be manifested in obedience. Wesley’s life was devoted to the preaching of the great truths which he had received—justification through faith in the atoning blood of Christ, and the renewing power of the Holy Spirit upon the heart, bringing forth fruit in a life conformed to the example of Christ. Whitefield and the Wesleys had been prepared for their work by long and sharp personal convictions of their own lost condition; and that they might be able to endure hardness as good soldiers of Christ, they had been subjected to the fiery ordeal of scorn, derision, and persecution, both in the university and as they were entering the ministry. They and a few others who sympathized with them were contemptuously called Methodists by their ungodly fellow students—a name which is at the present time regarded as honorable by one of the largest denominations in England and America. The servants of God trod a rugged path. Men of influence and learning employed their powers against them. After a time many of the clergy manifested determined hostility, and the doors of the churches were closed against a pure faith and those who proclaimed it. The course of the clergy in denouncing them from the pulpit aroused the elements of darkness, ignorance, and iniquity. Again and again did John Wesley escape death by a miracle of God’s mercy. When the rage of the mob was excited against him, and there seemed no way of escape, an angel in human form came to his side, the mob fell back, and the servant of Christ passed in safety from the place of danger. Of his deliverance from the enraged mob on one of these occasions, Wesley said: “Many endeavored to throw me down while we were going down hill on a slippery path to the town; as well judging that if I was once on the ground, I should hardly rise any more. But I made no stumble at all, nor the least slip, till I was entirely out of their hands. . . . Although many strove to lay hold on my collar or clothes, to pull me down, they could not fasten at all: only one got fast hold of the flap of my waistcoat, which was soon left in his hand; the other flap, in the pocket of which was a bank note, was torn but half off. . . . A lusty man just behind, struck at me several times, with a large oaken stick; with which if he had struck me once on the back part of my head, it would have saved him all further trouble. But every time, the blow was turned aside, I know not how; for I could not move to the right hand or left. . . . Another came rushing through the press, and raising his arm to strike, on a sudden let it drop, and only stroked my head, saying, ‘What soft hair he has!’ . . . The very first men whose hearts were turned were the heroes of the town, the captains of the rabble on all occasions, one of them having been a prize fighter at the bear gardens. . . .
“By how gentle degrees does God prepare us for His will! Two years ago, a piece of brick grazed my shoulders. It was a year after that the stone struck me between the eyes. Last month I received one blow, and this evening two, one before we came into the town, and one after we were gone out; but both were as nothing: for though one man struck me on the breast with all his might, and the other on the mouth with such force that the blood gushed out immediately, I felt no more pain from either of the blows than if they had touched me with a straw.”—John Wesley,Works, vol. 3, pp. 297, 298. “If their doctrine is stricter than this, they are to blame; but you know in your conscience it is not. And who can be one jot less strict without corrupting the word of God? Can any steward of the mysteries of God be found faithful if he change any part of that sacred depositum? No. He can abate nothing, he can soften nothing; he is constrained to declare to all men, ‘I may not bring down the Scripture to your taste. You must come up to it, or perish forever.’ This is the real ground of that other popular cry concerning ‘the uncharitableness of these men.’ Uncharitable, are they? In what respect? Do they not feed the hungry and clothe the naked? ‘No; that is not the thing: they are not wanting in this: but they are so uncharitable in judging! they think none can be saved but those of their own way. '”— Ibid., vol. 3, pp. 152, 153. These monstrous doctrines are essentially the same as the later teaching of popular educators and theologians—that there is no unchangeable divine law as the standard of right, but that the standard of morality is indicated by society itself, and has constantly been subject to change. All these ideas are inspired by the same master spirit—by him who, even among the sinless inhabitants of heaven, began his work of seeking to break down the righteous restraints of the law of God. The doctrine of the divine decrees, unalterably fixing the character of men, had led many to a virtual rejection of the law of God. Wesley steadfastly opposed the errors of the antinomian teachers and showed that this doctrine which led to antinomianism was contrary to the Scriptures. “The grace of God that bringeth salvation hath appeared to all men .” “This is good and acceptable in the sight of God our Saviour; who will have all men to be saved, and to come unto the knowledge of the truth. For there is one God, and one mediator between God and men, the man Christ Jesus; who gave Himself a ransom for all .” Titus 2:11; 1 Timothy 2:3-6. The Spirit of God is freely bestowed to enable every man to lay hold upon the means of salvation. Thus Christ, “the true Light,” “lighteth every man that cometh into the world.” John 1:9. Men fail of salvation through their own willful refusal of the gift of life. In answer to the claim that at the death of Christ the precepts of the Decalogue had been abolished with the ceremonial law, Wesley said: “The moral law, contained in the Ten Commandments and enforced by the prophets, He did not take away. It was not the design of His coming to revoke any part of this. This is a law which never can be broken, which ‘stands fast as the faithful witness in heaven.’ . . . This was from the beginning of the world, being ‘written not on tables of stone,’ but on the hearts of all the children of men, when they came out of the hands of the Creator. And however the letters once wrote by the finger of God are now in a great measure defaced by sin, yet can they not wholly be blotted out, while we have any consciousness of good and evil. Every part of this law must remain in force upon all mankind, and in all ages; as not depending either on time or place, or any other circumstances liable to change, but on the nature of God, and the nature of man, and their unchangeable relation to each other. “‘I am not come to destroy, but to fulfill.’ . . . Without question, His meaning in this place is (consistently with all that goes before and follows after),—I am come to establish it in its fullness, in spite of all the glosses of men: I am come to place in a full and clear view whatsoever was dark or obscure therein: I am come to declare the true and full import of every part of it; to show the length and breadth, the entire extent, of every commandment contained therein, and the height and depth, the inconceivable purity and spirituality of it in all its branches.”—Wesley, sermon 25. Wesley declared the perfect harmony of the law and the gospel. “There is, therefore, the closest connection that can be conceived, between the law and the gospel. On the one hand, the law continually makes way for, and points us to, the gospel; on the other, the gospel continually leads us to a more exact fulfilling of the law. The law, for instance, requires us to love God, to love our neighbor, to be meek, humble, or holy. We feel that we are not sufficient for these things; yea, that ‘with man this is impossible;’ but we see a promise of God to give us that love, and to make us humble, meek, and holy: we lay hold of this gospel, of these glad tidings; it is done unto us according to our faith; and ‘the righteousness of the law is fulfilled in us,’ through faith which is in Christ Jesus. . . .
“In the highest rank of the enemies of the gospel of Christ,” said Wesley, “are they who openly and explicitly ‘judge the law’ itself, and ‘speak evil of the law;’ who teach men to break (to dissolve, to loose, to untie the obligation of) not one only, whether of the least or of the greatest, but all the commandments at a stroke. . . . The most surprising of all the circumstances that attend this strong delusion, is that they who are given up to it, really believe that they honor Christ by overthrowing His law, and that they are magnifying His office while they are destroying His doctrine! Yea, they honor Him just as Judas did when he said, ‘Hail, Master, and kissed Him.’ And He may as justly say to every one of them, ‘Betrayest thou the Son of man with a kiss? It is no other than betraying Him with a kiss, to talk of His blood, and take away His crown; to set light by any part of His law, under pretense of advancing His gospel. Nor indeed can anyone escape this charge, who preaches faith in any such a manner as either directly or indirectly tends to set aside any branch of obedience: who preaches Christ so as to disannul, or weaken in any wise, the least of the commandments of God.”— Ibid . To those who urged that “the preaching of the gospel answers all the ends of the law,” Wesley replied: “This we utterly deny. It does not answer the very first end of the law, namely, the convincing men of sin, the awakening those who are still asleep on the brink of hell.” The apostle Paul declares that “by the law is the knowledge of sin;” “and not until man is convicted of sin, will he truly feel his need of the atoning blood of Christ. . . . ‘They that be whole,’ as our Lord Himself observes, ‘need not a physician, but they that are sick.’ It is absurd, therefore, to offer a physician to them that are whole, or that at least imagine themselves so to be. You are first to convince them that they are sick; otherwise they will not thank you for your labor. It is equally absurd to offer Christ to them whose heart is whole, having never yet been broken.”— Ibid., sermon 35. Thus while preaching the gospel of the grace of God, Wesley, like his Master, sought to “magnify the law, and make it honorable.” Faithfully did he accomplish the work given him of God, and glorious were the results which he was permitted to behold. At the close of his long life of more than fourscore years—above half a century spent in itinerant ministry—his avowed adherents numbered more than half a million souls. But the multitude that through his labors had been lifted from the ruin and degradation of sin to a higher and a purer life, and the number who by his teaching had attained to a deeper and richer experience, will never be known till the whole family of the redeemed shall be gathered into the kingdom of God. His life presents a lesson of priceless worth to every Christian. Would that the faith and humility, the untiring zeal, self-sacrifice, and devotion of this servant of Christ might be reflected in the churches of today!